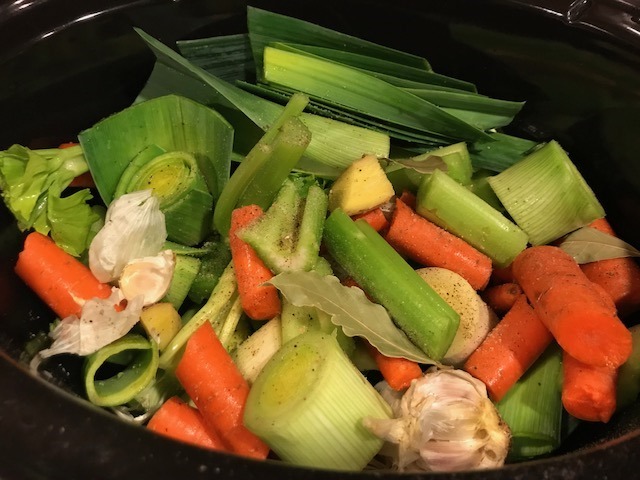 How to Guide on Homemade Bone Broth …. Liquid Gold for our Bodies! I’m currently sipping on a cup of bone broth. This has been my project of the week. A labor of love which I started on Tuesday. Just finished. Actually, not exactly finished but I’m in the final stages so that counts, right? 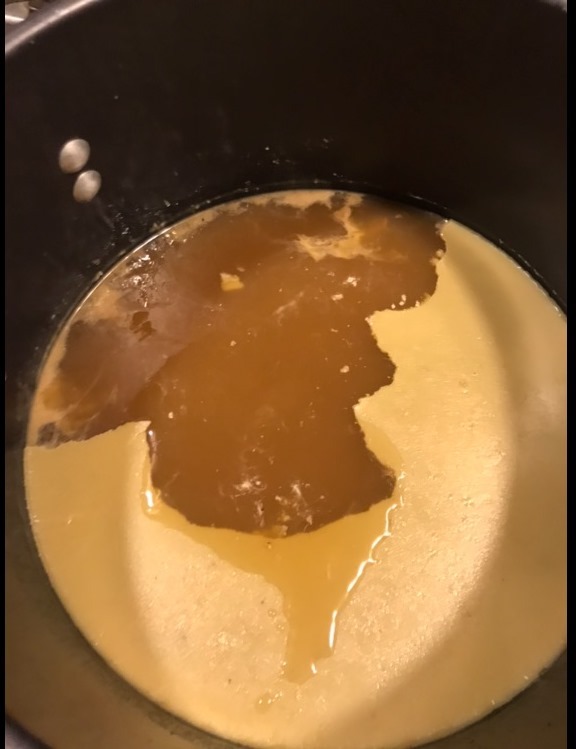 My beautiful bone broth below. Very recently, someone in the house had to go gluten, dairy & sugar free (realistically low sugar, as in low added sugar, not natural sugar). There is an issue with leaky gut and an imbalance of several hormones, vitamins & minerals in the body. We also have a history of digestive issues for myself and the maternal side of my family. So anything that can help with digestion & healing is a win in my book. The bone broth was the next step for us in this journey. I have spent years studying nutrition and its effect on health & wellness. 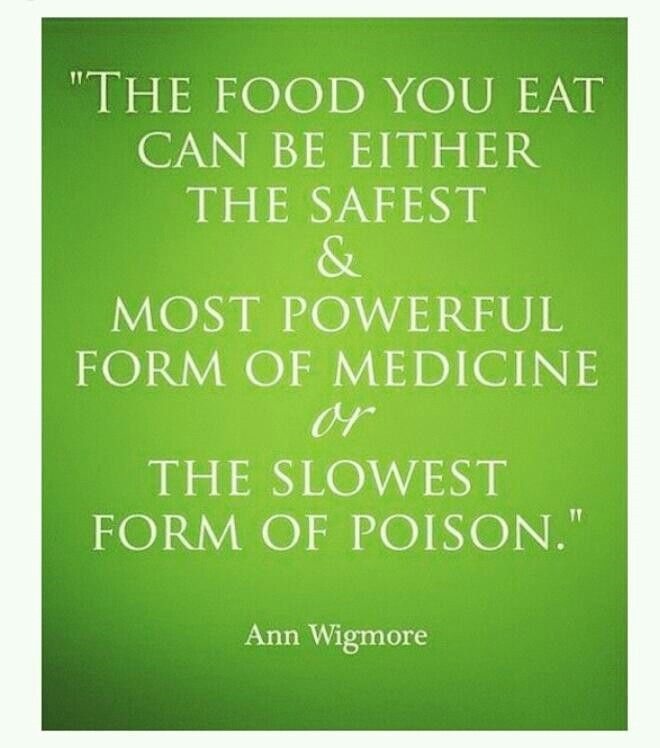 This knowledge has transformed my lifestyle and changed the types of foods that I buy and feed my family. Disclaimer: I’m not a nutritionist or a dietician, just an enthusiast who wants the best for myself and my family. For me, I wanted to make the bone broth verses buy it. One, its easy to make. Two, its inexpensive. Three, it makes a large quantity and I’m hoping I won’t have to make it again for awhile. However, it does take time, which means it might not be a project for everyone. 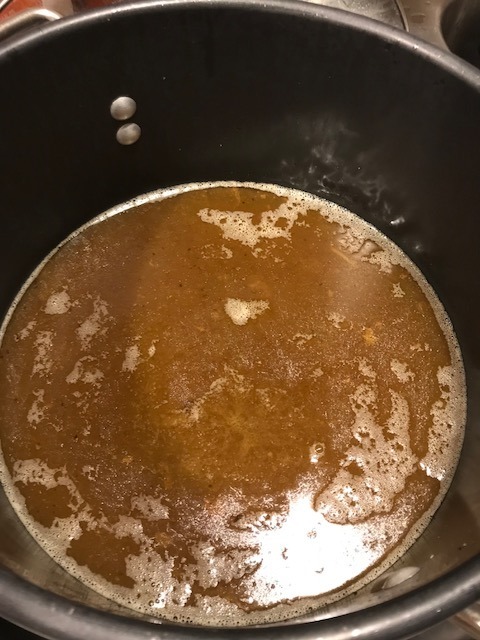 Steps to homemade bone broth below. You might be wondering where to get the bones for the bone broth. You can use bones from any clean source. If you, your husband or parents are hunters, have them save the neck bones from the deer they tag during hunting season. 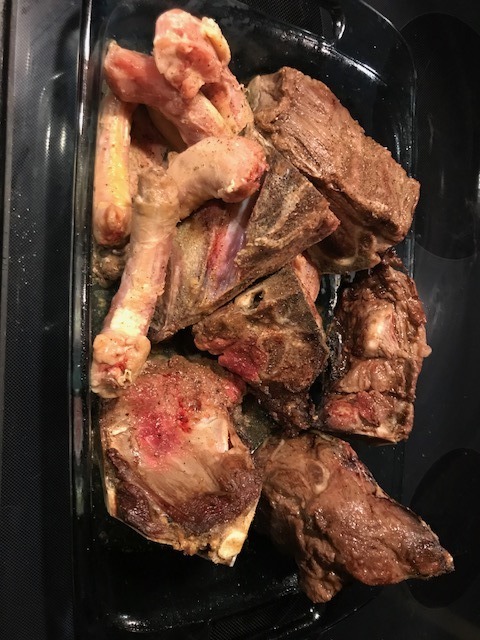 If you are getting ready to butcher a cow from a local farmer that specializes in grass fed, hormone free beef, then have the butcher save the beef neck bones & oxtail. Or call your local co-op or butcher to see what they have or can save for you. Chicken carcasses, necks or feet are great too! 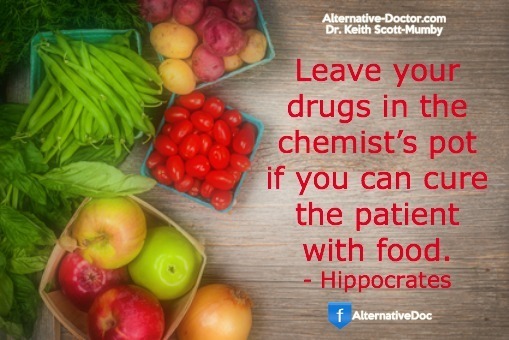 If you buy from a source like the local butcher or the co-op, then you’ll need to pay for the bones. I paid $0.89 per pound for the beef neck bones. And then I also used chicken necks from my local co-op. After obtaining the bones, first roast them in the oven. 425 degrees – 1 hour. Turn half way thru. While the bones are roasting, cut veggies and add to your slow cooker. Any veggies will work, they are used to flavor the broth and will be discarded later. I used carrots, celery, leeks, garlic & ginger (small chunk). The fun part about this is that nothing needs to be prepped or peeled! Just wash, cut into reasonable chunks and toss in the crockpot. If you are using an onion or garlic cloves, no need to even peel those. 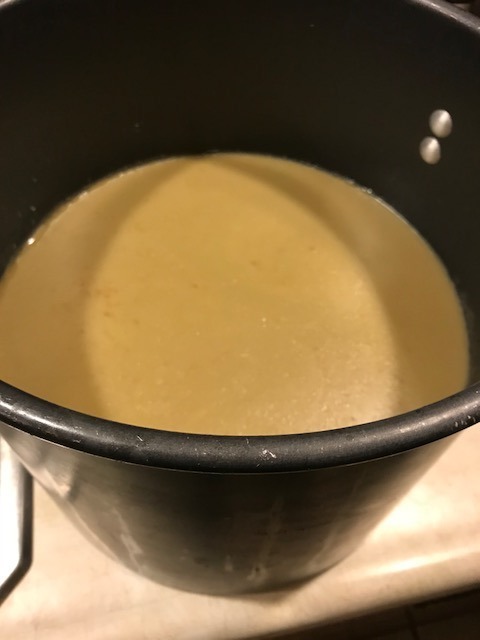 The skins from the onions & garlic add to golden color of the bone broth. So fun! Even the kids can help! I also added pink Himalayan sea salt & ground course pepper (or peppercorns), plus a tablespoon or 2 (splash) of Apple Cider vinegar. Don’t forget the vinegar, it helps leach the minerals out of the bones! Thankfully my friend Sara P was on standby and told me that my crockpot was WAY too full! 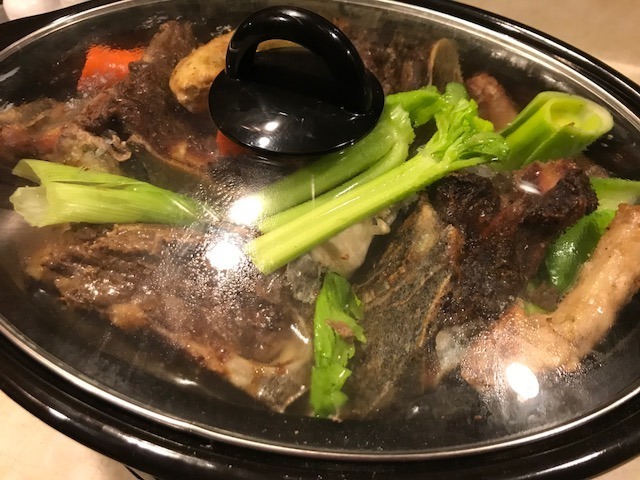 So I split my very full crockpot (hey, I got the lid on, so it looked good to me!) into a second one. Therefore, I advise this to be a 2 crockpot project. 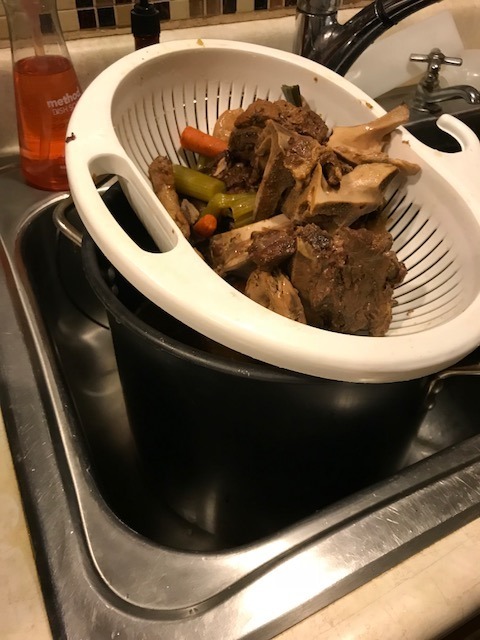 Bones need to be completely covered with water and water should be to the top of the crockpot. Then cover & cook on low for a minimum of 24 hours. I did about 30 hours. That’s what worked for me and I wasn’t in a hurry. 12 hours into the cooking, I added a bit more water, increasing the water level to the top of the crockpot …. cuz Sara P told me to do it. This is what it looked like at 12 hours before I added more water. 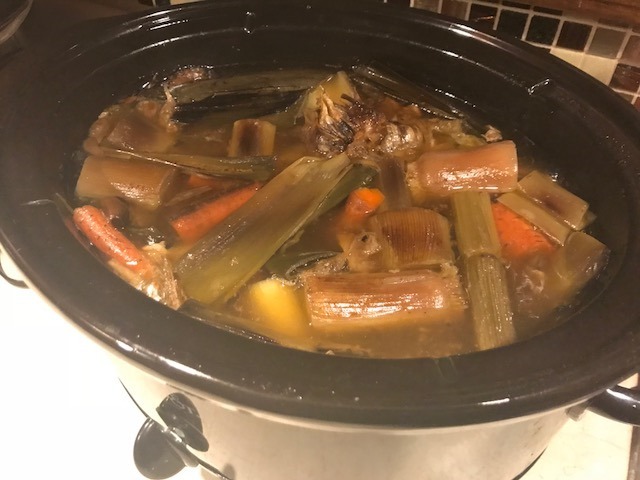 At 30 hours, I turned off the crockpot and let cool. 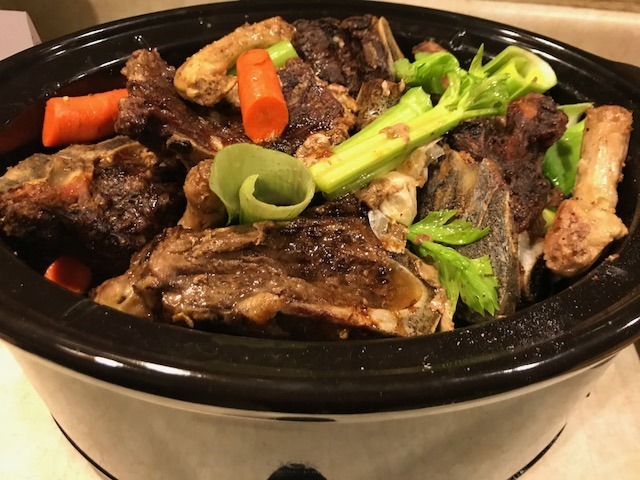 At 36 hours, I drained the liquid from the veggies, meat & bones. Instead of tossing everything, I fed what I could to the pups for breakfast. They were in heaven! 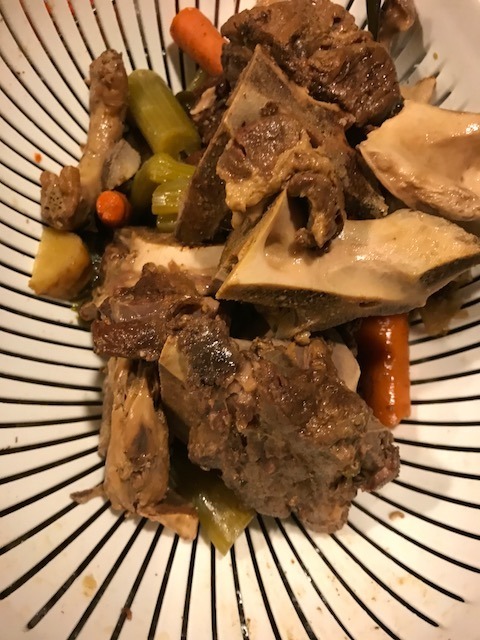 I gave them the carrots, cut up the beef pieces that came out of the neck bones and gave them some of the chicken necks too because I was able to crush the neck bones between my fingers (which I did for each neck before I put into their food bowls). However, beware if you do this: 1) If your dogs aren’t used to a rich diet, this may give them digestive distress. I have 3 dogs. I split the meat & carrots from one crockpot between the three of them for breakfast yesterday. 2) Don’t give your dogs onions, chives, garlic or leeks, this is a poisonous category of foods for them. 3) Don’t overfeed them since this is more dense then a kibble. I put the veggies & meat from the second crockpot into the fridge for this morning’s breakfast. The first two photos below are what was pulled off of one crockpot. Then the resulting broth in the third photo. After I strained off the meat/veggies/bones, I put in the fridge to cool. The purpose of this is so that a layer of fat forms on the top and can be easily skimmed off. I left it in the fridge for 24 hours. A time issue for me, I couldn’t take care of it sooner. If you are on top of it, you could pull off the fat layer much sooner. Save the fat for cooking or discard. After the fat layer is pulled off, then the broth needs to be strained with a wire strainer to remove the tiny chunks of meat that might remain. I actually just strained the bottom of the batch. I wasn’t worried about perfection. 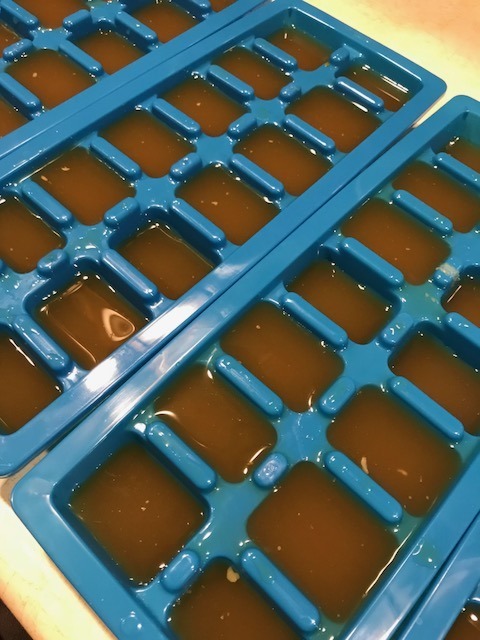 After removing the fat, how are you going to store your bone broth? It will only last for 3-4 days in the refrigerator. Some people can it. Others freeze it. Since mom just had surgery yesterday, canning wasn’t an option cuz I would need help with that. Freezing was what I chose. Mom had read on the all knowing Google, that the broth could be frozen into cubes for ease of use. 2 cubes equals a 1/4 cup and easy to add to recipes, etc. So thanks to the Dollar Tree, I secured some inexpensive ice cube trays for this project. I also saved a gallon water jug that I had emptied. I’m not super coordinated and I didn’t want to lose any of my broth! 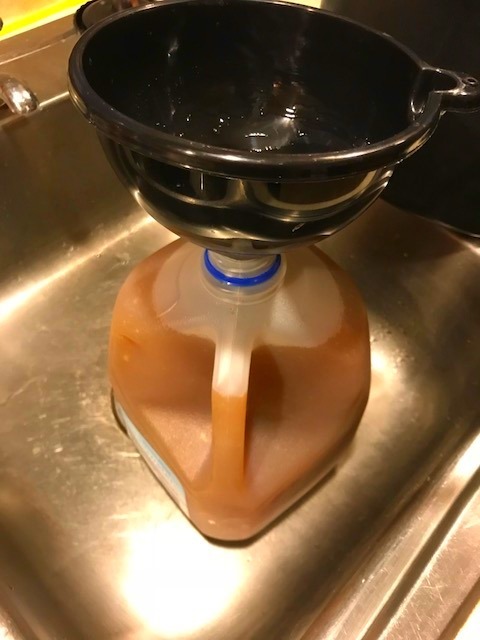 So I funneled the broth from my giant pot (hubby calls it my “Witches Brew” pot) into the gallon jug, then poured it into the ice cube trays. I’ll freeze, then store in freezer bags in the freezer. 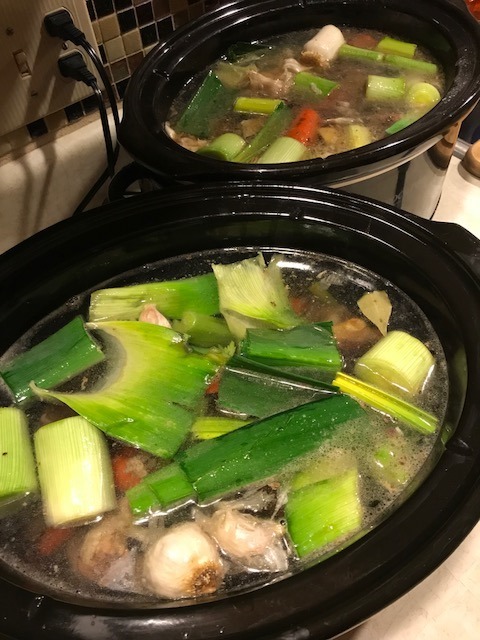 The 2 crockpots yielded about 2 gallons of bone broth. This was a combo of beef & chicken bones. Using different types of bones in your broth is beneficial, so mix it up and use what is readily available. The result is a rich, dark colored broth that is thicker than traditional broth found in the store. You can then drink it straight or cook with it. Super fun project. Amazing health benefits. 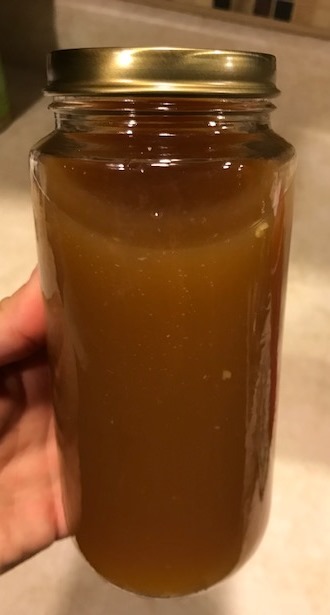 Well, my first batch of bone broth was a success thanks to the help from Sara P, my mom and the ladies at the Fresh Food Hub in Auburn. 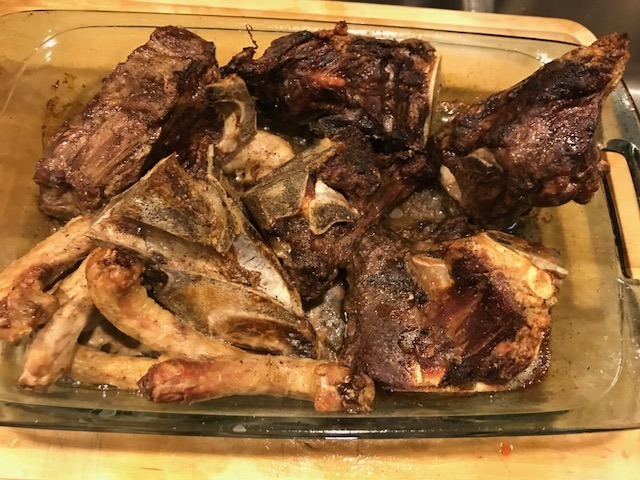 Thankfully the Fresh Food Hub had some chicken necks on hand that I could buy and LaOtto Meats saved some beef neck bones for me. 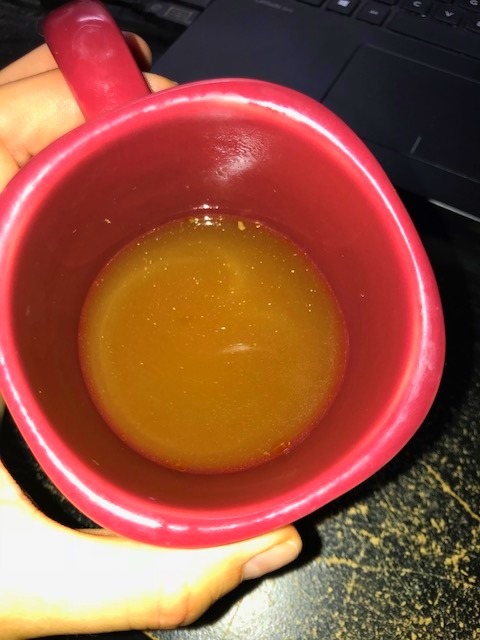 Hoping this bone broth helps aid in happy, healthy digestion in the future. Happy Friday, all! Hope you have an amazing day & enjoy the upcoming weekend.